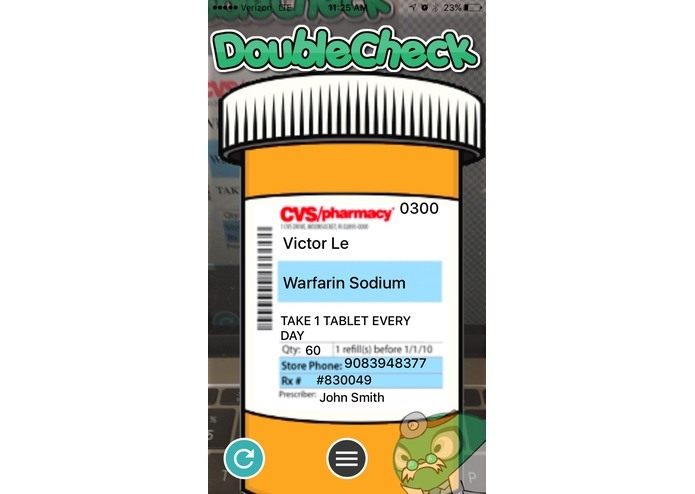 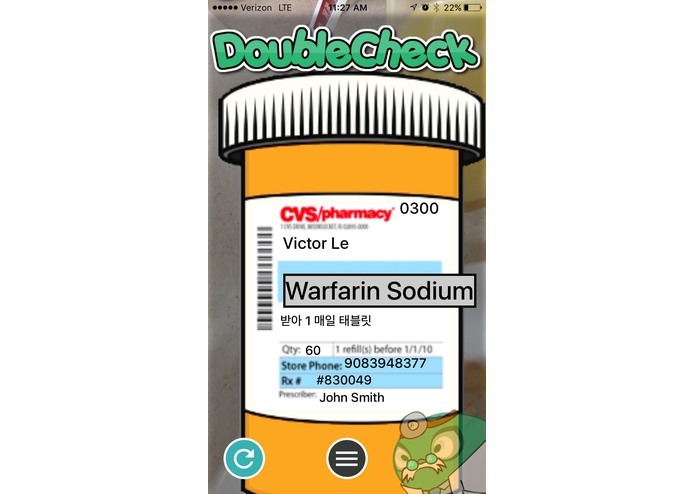 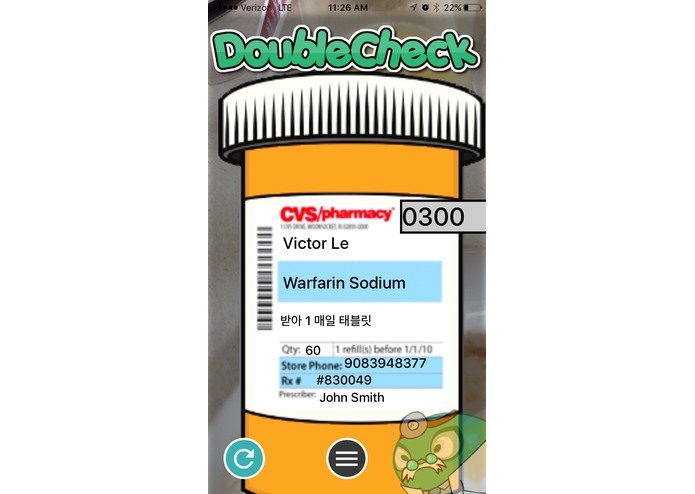 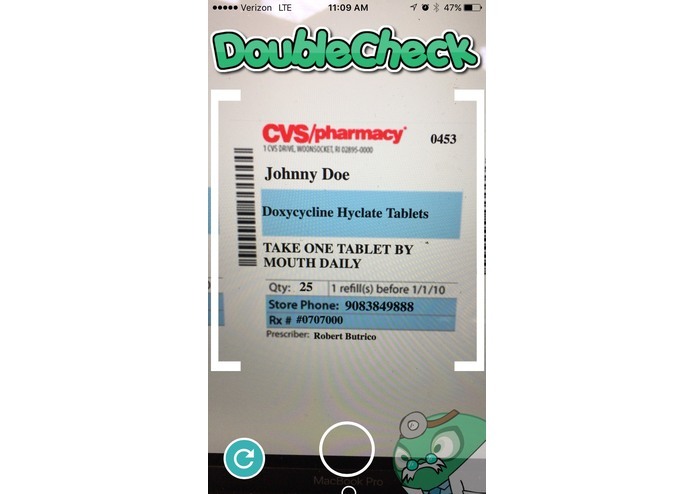 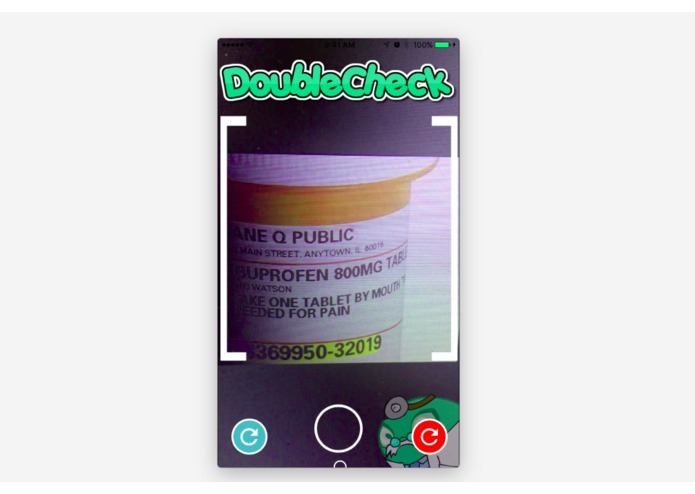 Scan any prescription bottle and return the text from the picture. 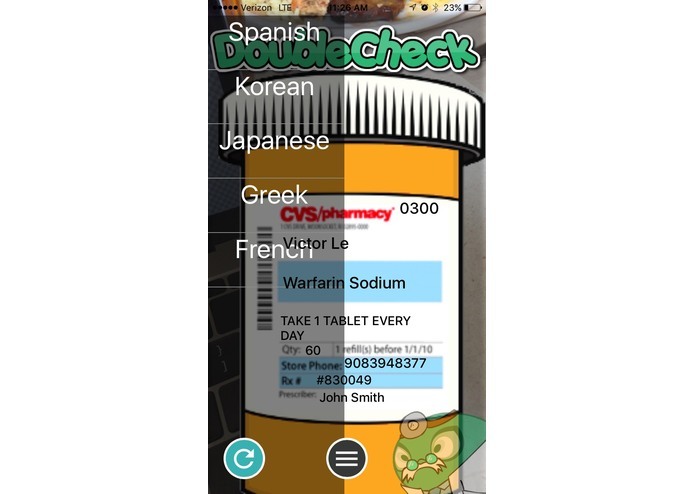 With the help of Microsoft Vision API , we were able to translate the bottle to a different language if need be. 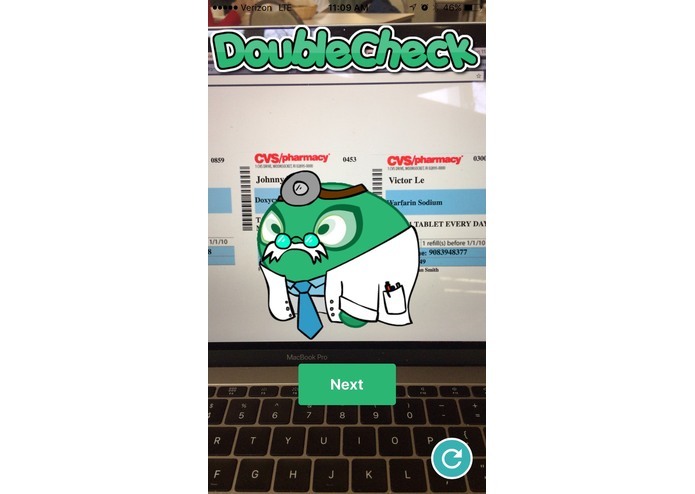 We used Angular 2 and Ionic 2 to build our hybrid framework application. 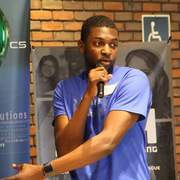 A hybrid framework like Ionic limits us from creating a more native application and it's feature.